PRISTINA (Kosovo), February 11 (SeeNews) – Kosovo's railway infrastructure operator Infrakos has signed a contract with Italy's GCF-Generale Costruzioni Ferroviarie for the upgrade of the southern section of rail route 10, from Fushe Kosove to the Macedonian border, the government said. 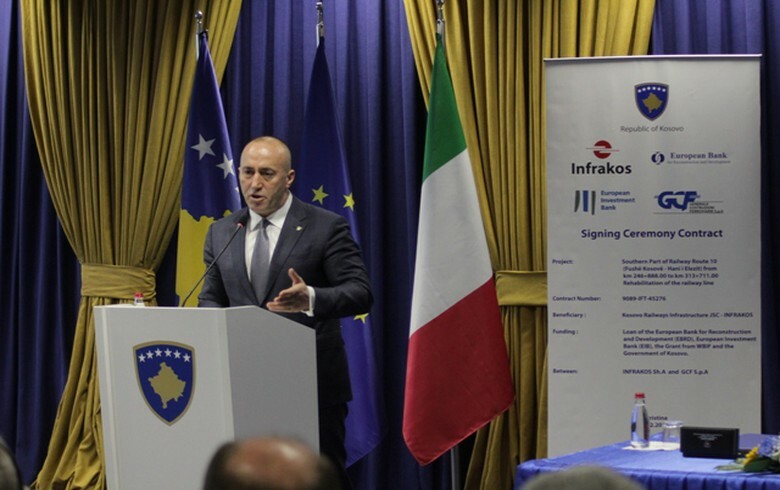 The construction works on the section must be completed within 24 months, Kosovo prime minister Ramush Haradinaj said in a press release last week, following the signing ceremony. The upgrade of the section from Fushe Kosove to the border with Macedonia, is part a larger project for the overhaul of a 148 km north-south railway running from Kosovo's border with Serbia to the border with Macedonia with an estimated cost of 210 million euro ($238 million). The project will be implemented in three phases. It consists of rehabilitation and upgrading works of the following sections: Fushe Kosove – Hani i Elezit, on the border with Macedonia, Fushe Kosove – Mitrovice and Mitrovice – border with Serbia. The project is supported through loans and grants from the EU, the European Bank for Reconstruction and Development (EBRD) and European Investment Bank (EIB), the statement noted.